Following the Google Project Zero publication which highlighted the Spectre and Meltdown vulnerabilities in CPUs, several major tech companies, including Google, Microsoft, Apple, Intel, and Mozilla, have come forward to acknowledge the presence of the vulnerabilities and issue appropriate patches for the same. 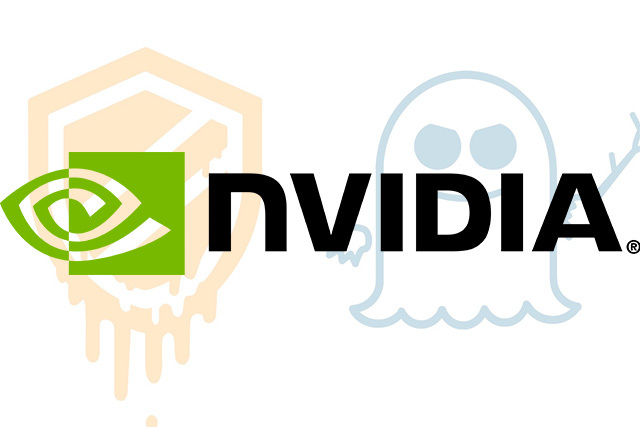 In a recent security bulletin on NVIDIA’s support website, the company has confirmed that the Spectre and Meltdown vulnerabilities have also been discovered in its products. 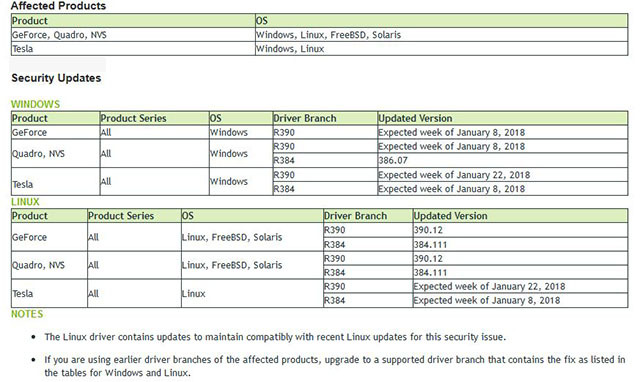 In order to patch the vulnerabilities, NVIDIA has provided mitigations in form of a security update and expects to work with its ecosystem partners on future updates to “further strengthen mitigations”. With the upcoming patches, NVIDIA’s Android-based Shield tablet should be upgraded to Shield Experience 5.4, which is expected to arrive by the end of this month. Updates for the Shield TV will come with the Shield Experience 6.3 package within the same time frame. The company has also listed the following example to help users decipher the driver version: 10.18.13.6472 is 364.72 and 10.18.13.472 is 304.72, so you can identify exactly which version you are on.